About the Event: Top six national women’s baseball team in Asia will play at the tournament. This inaugural event provides a platform for the growth and development of women’s baseball in Asia. The continental championship in Asia will be contested every two years, in the year prior to the Women’s Baseball World Cup. With the top four national teams to qualify for the WBSC Women’s Baseball World Cup® 2018. 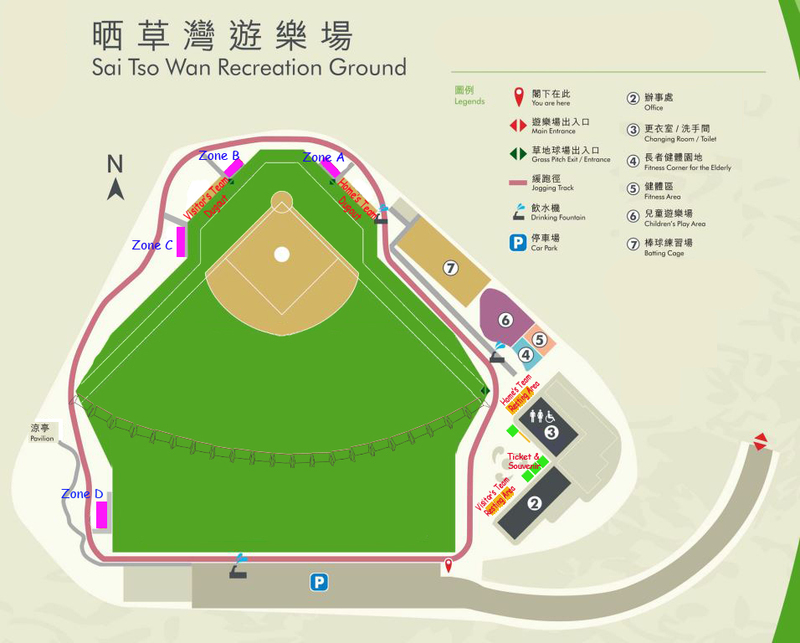 A day pass will give you access all three games played at Sai Tso Wan Baseball Field between 3 September and 6 September. Opening ceremony will be held on 2 September at 9:30a.m., two games will be played. One game on 7 September, closing ceremony will follow at 1p.m. 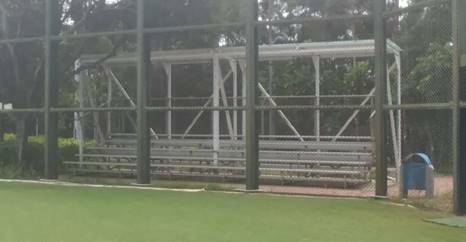 All spectator stands (Stand) are bleacher seats. Seating on a first come, first served basis. Zone D:	Outside right outfield fence, 100 seats, where no ticket is required. 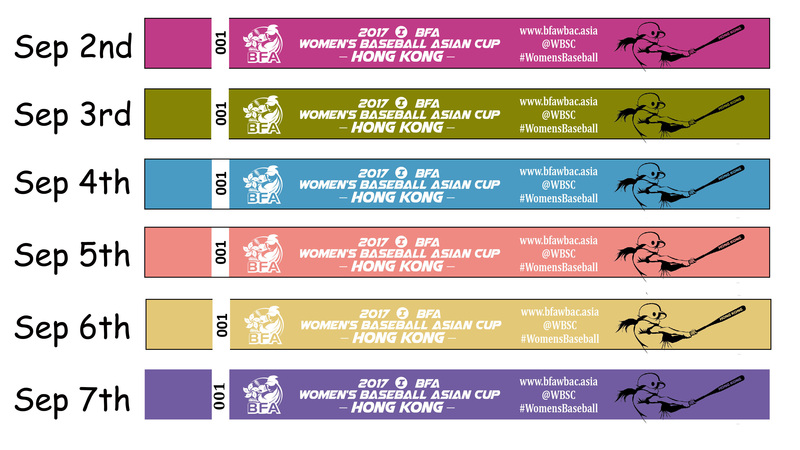 You must purchase your tickets to 2017 I BFA Women’s Baseball Asian Cup only at https://www.hkbaseball.org/eshop (our Site) to get the lowest prices possible and to be guaranteed that your ticket is legitimate. No third parties have been authorized to sell tickets on behalf of HKBA. Limit 2 tickets per online transaction. We accept several methods of payment to accommodate your needs. HKBA eShop accepts Visa, MasterCard, and PPS. Tickets purchased on our Site are typically subject to a non-refundable per order processing fee. Important: Tickets cannot be ordered or held without payment. Orders that do not include the service charge, or that are inaccurate or incomplete will be delayed. NOTE: For your protection, your online ticket orders will be processed through HKBA’s secure server. All information you submit to us, including your credit card number, will be encrypted to ensure complete safety and confidentiality. Ticket buyer is required to present your online transaction record either on the mobile device or a print copy to collect an Event Wristband (a ticket permit, see samples below) for the day at the Event Ticketing Counter at Sai Tso Wan Recreation Ground. Spectators must wear Event Wristband on your wrist at all times to be admitted to the games and throughout the tournament. Game may be postponed/changed due to inclement weather or unforeseen conditions, the organizer has the rights to adjust the game schedule. Ticket permit holder will be able to exchange their wristband of the affected game day to another (this offer is subject to availability) at the Event Ticketing Counter at Sai Tso Wan Recreation Ground. Or can cancel and receive a pro-rata refund of any unused remaining games. Cancellation and pro-rata refund requests must be made by 10 September 2017 in written to HKBA at hkbsa@hkolympic.org. HKBA reserves the right, without refund of any amount paid, to refuse admission to, or eject, any person whose conduct management deems disorderly, who uses vulgar or abusive language or who fails to comply with Event Provider rules. Breach of terms or rules will terminate your license to attend the event without refund. A ticket is a revocable license and admission may be refused upon refunding the ticket's face amount. A ticket is not redeemable for cash. You agree that the event for which you purchase tickets is a public event, that your appearance and actions inside and outside the venue where the event occurs are public in nature, and that you have no expectation of privacy with regard to your actions or conduct at the event. You grant permission to us and the authorized parties to utilize your name, image, likeness, acts, poses, plays, appearance, movements, and statements in any live or recorded audio, video, or photographic display or other transmission, exhibition, publication or reproduction made of, or at, the event (regardless of whether before, during or after play) for any purpose, in any manner, in any medium or context now known or hereafter developed, without further authorization from, or compensation to, you or anyone acting on your behalf. Unlawful resale (or attempted resale), counterfeit or copy of tickets is grounds for seizure and cancellation without compensation. You are responsible for complying with all applicable ticket resale laws. In addition, we reserve the right to restrict or deny ticket purchasing privileges to anyone that we determine to be, or has been, in violation of our policies. Because we do not guarantee the authenticity of tickets purchased from any non-authorized third party reseller (such as brokers or individuals), we recommend that you purchase tickets directly through us, authorized partners or from the venue box office to ensure ticket authenticity. Tickets may not be used for advertising, promotions, contests or sweepstakes, unless formal written authorization is given by us.